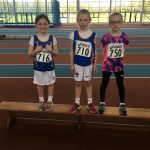 Longford Athletics Club was out in force competing in Long Jump, Turbo Javelin, Shot Putt, Sprint, Middle Distance and Hurdles on Day 1 of the Connacht Outdoor Track & Field Championships 2017 at Sligo IT. This year saw our largest group ever with 49 juveniles aged U9-U13 taking part. 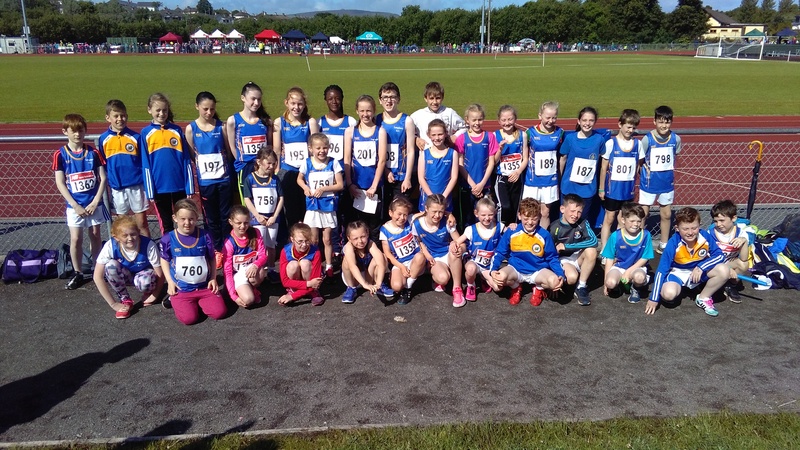 In total nearly 800 juvenile athletes from across the Western Region travelled to Sligo for the event. 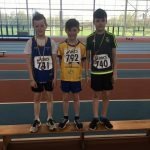 The larger counties: Galway, Sligo, Mayo, had to qualify for the Connacht Championships from their own county competition so already the standard is set when these top young athletes step onto the track. Children in the U9-11 age group compete with a partner and their times/distances are added together as a pair. They are allowed to take part in 2 different events with sprint and middle distance being the most popular combination. 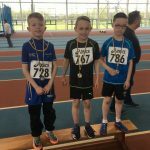 Even though medals for Longford seemed very scarce every child went away with their own pb, ‘personal best’, that signifies their performance on the day. 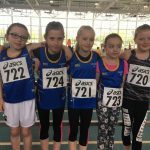 Well done to Club new comers Mark McSweeney, Clara Forbes, Bea Casey, Roisin Farrell, Aisling Scanlon, and Sasha and Brooklyn Brady wearing the Longford AC singlet for the first time. Laura McCormack gave her all clocking the fastest time in U11 girls, 9.55 seconds, in a field of 32 runners. 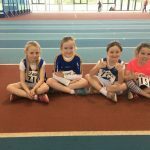 Together with her partner Aoife Farrell they won Silver in this event and have qualified as Longford’s only pair to go forward to the Irish Life Health National Children’s Games on 24th June in Tullamore. 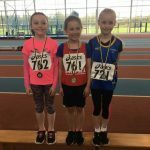 Both girls competed at the recent Intercounties track meet as well as the County Longford Community Games finals and are gaining valuable experience with each outing. Best performances in both 60m sprint and middle distance were Ailbe Mulligan, Ella Duignan, James Hagan and Joseph Carrigy. 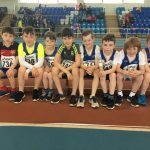 Well done to U10 Boys Sean Grealy, 10.27 seconds + Max Gallagher, 10.49 seconds, who finished in 4th place, and U11 Boys James Hagan, 9.93 seconds + Hayden Nolan, 10.15 seconds, in 5th place. Four sprinters including Laura Farrell and Joseph Carrigy both made it through the heats and semi-finals to reach the final 8 runners with Funmi Talabi taking Gold in 11.58 seconds in the U13 Girls 80m and Matthew McCormack winning Silver in U12 Boys 60m, time 9.58 seconds. Funmi notched up another year as the fastest girl in Connacht in her age group and used her speed to help the U13 Girls win Gold in their 4X100m relay. On the day when medals seemed out of grasp, Funmi was the only one travelling home to Longford with 2 Gold hanging around her neck. Twin brothers Padraic, 10.20m, and Cormac, 15.35m, Mulligan competed in turbo javelin again this year finishing in 5th place. 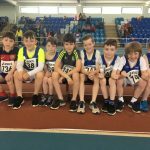 They were also member of the U10 Boys 4X100m relay team with Conor Wright and Max Gallagher that narrowly missed qualification as they finished 4th place by 0.68 seconds. Congratulations to Ryan Keogh winning Silver in the group of twelve U12 Boys Turbo Javelin with a mighty throw of 27.27m. Ryan, Funmi and Matthew all progress to Athletics Ireland National finals in their individual events on separate days in July at Tullamore. 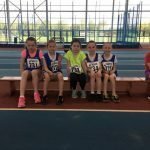 Longford Athletics Club took to the track at Sligo IT to compete on Day 1 of the Connacht Outdoor Track & Field Championships 2017. 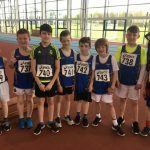 This was the largest group from Longford ever to take part with 49 Juveniles in the U9-U13 age group in action in sprint, middle distance, hurdles, long jump, shot putt and turbo javelin. 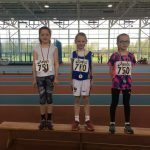 Congratulations to our 5 individual plus U13 Girls Relay Team that are all Connacht medallists in the U9-13 age group and will go forward to upcoming All-Ireland competitions. 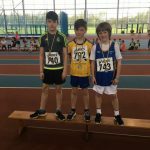 Gold- Funmi Talabi U13 sprint, Silver- Ryan Keogh U12 turbo javelin, Silver – Matthew McCormack U12 sprint and Silver- U11 sprint pair Laura McCormack and Aoife Farrell, Gold- U13 Girls Relay Team: Funmi Talabi, Laura Farrell, Siog Reilly & Rachel Mulligan. 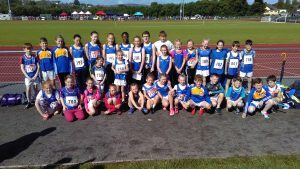 Longford AC had 49 children competing on Day 1, many for the very first time. On this occasion we did not excel in the medals count but every child went home with a new pb- “personal best”. This means that they all have a time/distance that represents their own achievement in the competition. Thanks to all parents that helped out with our large group (collecting entry fees, preparing relay teams, selling singlets, keeping track of the timetable, ect… ), your assistance was much appreciated. Our Club continues to grow, and with 250 juvenile members in Longford, Kenagh and Dromard we definitely need more coaches to come on board when we start back in September. 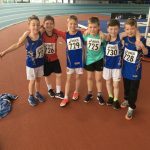 Athletics Ireland provides coaching courses for Little Athletics, Assistant Coach and Level 1 plus workshops in many specialized events. Please contact any of the coaches or email into the Club account anytime to get more information and become involved. The Connacht top 4 in each individual event per age group qualify to go forward to Athletics Ireland National Finals over 3 dates in July. National “B” Outdoor Track & Field Championships, Sat 15th July at Tullamore – this is only for juveniles that have competed in the Connacht Outdoor Championship in June in u12-16 age group that have NOT qualified for Nationals in any event. You are allowed to enter 2 events: sprint, middle distance, long jump, shot putt and high jump. U9-11 (Born 2009-2008-2007, must stay in their own age group) work together as a pair/team so the child MUST have a partner in order to enter. They can do two events only, with the same or two different partners. Their combined times/distances are added together for team scoring. Medals for 1st, 2nd, 3rd pair (NOT individual) in each event. If we have 4 boys/girls of the same year we will enter them as a relay team so they can gain more experience on the track. No pre-registration needed. Just come on the night and try all the events to see which ones you like best. Cost €5 per child. Wear white shorts, white socks and Blue Longford AC singlet.